Table tennis is another sport our children are taking to in a big way. 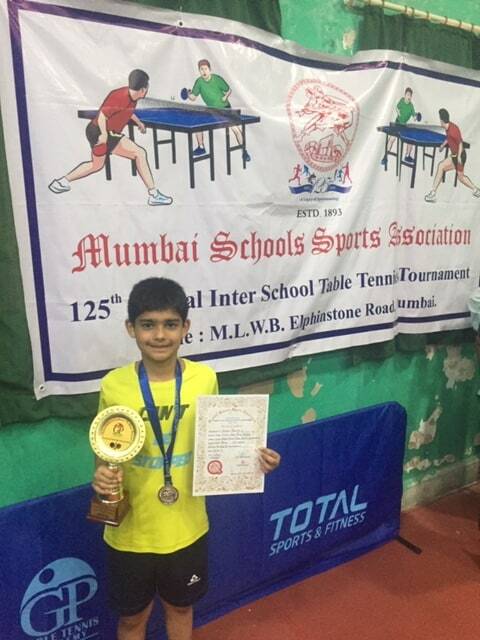 Daksh Talwar of Standard 4 C, bagged the silver medal in boys U/10 category in MSSA table tennis tournament held on January 25, 2019 at Kamgar Krida Bhawan , Lower Parel, Mumbai. Looking forward to many more winning volleys from our young champ!